Very nice shared room with shower, toilet, hair dryer, balcony and internet connection. Altitude: 800 mBy us children's dreams come true!You dream of a holiday on the farm? - We are pleased to welcome you and share with you some discoveries that many people have already lost: Here you will find people with true faces and eyes who laugh when they are happy and nature with original beauty. These special features allow you to spend an unforgettable holiday in a world of real "togetherness", where you not only rent a room, but receive it sincerely. This means for us "holiday". 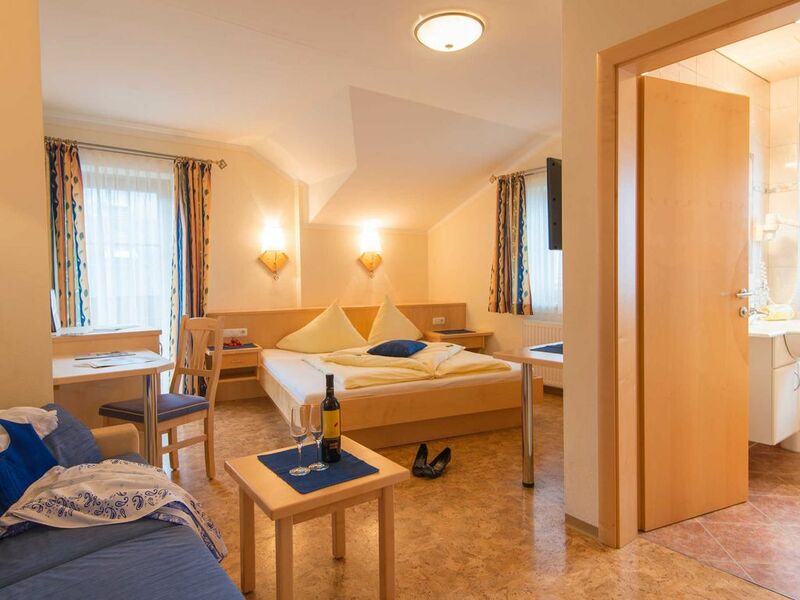 In addition to the peculiarities of a farm, you can enjoy the offers of a guest house and the perfect location right at the entrance to the Salzburger Sportwelt in the St. Maurachhof. Johanner Alpendorf. Do you know the smell of fresh, homemade bread? Here you can see how bread is made and wait in front of the oven until the crispy loaves are ready!For families and children dreams come true at the organic farm!Playing and romping to your heart's content, space for the ideas of big and small vacationers and getting to know a nature-loving life!From assistance in the stable to your own pet on vacation - everything is possible with us!Summer and winter you will find lots of animals to cuddle and love!